When you choose somewhere to spend your hard-earned fortnight's holiday, you probably base your decision on a number of things - price, the variety of things to do or temperature, perhaps. You may also look at the reputation of the destination - after all, you wouldn't want to stay in an 18-30 hotspot if you're after a quiet couples' break. However, travel insurance customers may wish to rethink how they judge some countries after advice from one expert. Javier Blanco from Tenerife Tourism said he is aware that the Canary Island developed something of a reputation for being somewhere to spend a boozy break 20 years ago. However, he said he is dismayed to find that some people have not changed their perceptions of the destination, even though it has now altered almost beyond recognition. He pointed out that the number of activities on offer there could rival so-called luxury destinations, plus there is a quiet side to the island which has not been publicised by the media. "Forget about 20 years ago with drunk British guys by the seaside, that is not happening anymore … It's changed a lot and it is still changing," Javier insisted. "Tenerife offers everything from golf destinations to a huge variety of different hotels in exclusive locations, five-star hotels and small luxury country hotels." If you're a culture vulture, you could find that Tenerife is the perfect place to visit thanks to its beautiful architecture, which is particularly evident at San Cristobal. There are also national parks to suit nature lovers and family-friendly attractions like the Siam water park to provide entertainment for children, Javier said. However, Tenerife's appeal is not lost on everyone. Last year, Britons accounted for 30 per cent of the visitors to the island between January and September, figures from the tourist board showed. Amusingly, this is not likely to include one respondent to a recent survey carried out by Sunshine, which aimed to find out what puts people off visiting certain destinations. 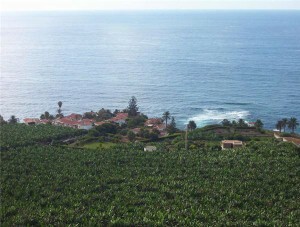 When asked why she would not consider the Canary Islands, she replied that it was because she is afraid of birds. And on that note, may we direct you to our website where you'll find competitively-priced travel insurance cover, whether you're going to Tenerife or Timbuktu.